Tried many weight management programs, and they don’t work? Or they work and you put all the weight plus more back on? The DNA Diet testing panel exploits some of the most recent advances in the exciting field of nutritional genomics, to support the development of more appropriate dietary guidelines and nutritional recommendations for individuals. DNA Diet is designed to assist your practitioner in optimising your weight management goals, by guiding the planning of diet and exercise programmes according to the identification of specific genetic differences in metabolism, lipolysis and fat absorption. 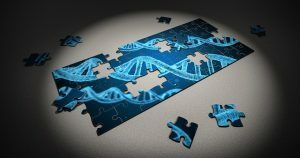 In recent years, the Human Genome Project has led scientists to a deeper understanding of the complex molecular processes governing the human body. One of its significant findings was the variability in individual responses to diet, which can now be explained at the genetic level. Variations in DNA can have a profound effect on nutritional requirements, metabolic efficiencies and an individual’s ability to lose and maintain their weight. Despite the overwhelming evidence of the role of genetics in the development of obesity, most weight-management programmes focus exclusively on dietary restriction and physical activity, while demonstrating huge variability in individual response to these interventions. From the approximately 25 000 identified human genes that produce the proteins that control our biological processes, a small group of genes associated with weight loss resistance, lipolysis, body mass index (BMI), muscle mass, and body fat have been identified. All genes selected have met stringent criteria for validity and utility within clinical genetic screening test results. The DNA Diet genetic test panel offers an effective means for supporting the management of healthy body weight, by guiding the planning of personalised diet and exercise programmes based on an individual’s genetic make-up and genetic differences in metabolism, fat loss and dietary fat absorption. We are offering our patients the DNA Diet genetic test, plus an hour consultation to interpret the results, for $430. To claim this offer, book in for a genetic testing email pre-consultation online, you will be sent some forms to complete, and an invoice to pay for the testing. A test kit and instructions will be posted to you, and we will book you in for your interpretation consultation 4 weeks later.